The prime minister pledges to leave no stone unturned. A so-called "Black Hundred", a special team which would crack down on smuggling, will be set up in Ukraine, Prime Minister Volodymyr Groysman told a cabinet meeting on Wednesday, 11 May. "We are currently working on the establishment of a squad, the so-called Black Hundred, which will combat any manifestation of contraband," Groysman said. The prime minister suggested that customs could generate 50bn hryvnyas in revenues to the state budget annually. "We will create an interdepartmental unit that will control the customs and all the others. It will be a hundred people who will have all the technical means to show how the work should be done," Groysman said. The head of Ukraine’s Fiscal Service, Roman Nasyrov, said the squad would consist of 20 mobile groups, which will work primarily on the western border as well as in Chernihiv and Zhytomyr regions. 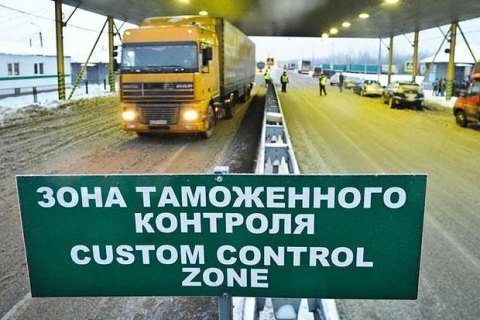 “The main priority now is to cover the entire western border, and as of September this year, we plan to use them on the southern border, and then the section of the border from Kharkiv to Zhytomyr," Nasyrov said. Volodymyr Groysman reminded of his promise to purge the customs from corruption in three months.